Wow, where do I start. A friend told me to listen to this book, but she couldn't explain why. She said she needed me to read it so we could discuss it. So I bought it straight away. 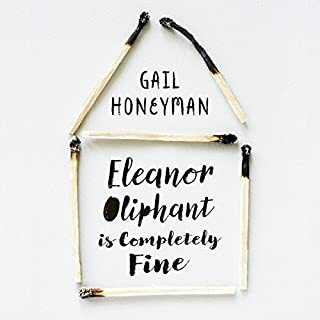 When I first started listening to the quirky though process of Eleanor, I laughed, I thought she was a bit (ok a lot) wacky, but she grows on you and you want to hear more. Eleanor lives week by week, with the same routine and she doesn't like change. With change, comes new experiences and Eleanor wants to become someone she's not. This is a story about one woman's perception on the world growing up in a challenging family environment and how it shaped her to become this quirky, eccentric young woman. How people's kind heartedness and support encourages her to ask for help. I loved this book. It was totally not what I expected when I first started reading it. I really enjoyed the storyline, but this book took me way too long to finish. I kept having to re-listen to chapters to understand what was going on. The story jumps too much between the 1800's, 1920's, 1960's and present day. I loved the gist of the story, the art, history and intrigue. But listening to it was a real struggle, which is such a shame because it was a great story. August 30, 1975: the day of the disappearance. The day Somerset, New Hampshire, lost its innocence. That summer, struggling author Harry Quebert fell in love with 15-year-old Nola Kellergan. Thirty-three years later, her body is dug up from his yard, along with a manuscript copy of the novel that secured his lasting fame. Quebert is the only suspect. Marcus Goldman - Quebert’s most gifted protégé - throws off his writer’s block to clear his mentor’s name. Solving the case and penning a new best seller soon merge into one. An amazing story that left you guessing. Wow, what can I say that will do this book justice. It's an amazing storyline with all many twists, turns and plots that it grips you by the heart and won't let you go. Harry Quebert, 35yrs old and a famous writer, falls in love with a beautiful blond 15yr old girl, No la Kellergan. Their friendship and fondness for each other must be kept a secret from their small seaside town community, Summerset. On 30th August, Nola and Harry plan to meet at the Seaside Motel and run away together, to live happily ever after. But Nola never makes it to meet Harry. That same afternoon, she is seen running through the forest followed by a man. She runs into an old lady's house covered in blood all o er her face and covered in scratches. But the old lady is shot dead and Nola disappears forever, that is until her body is found in Harry's back yard 35yrs later. 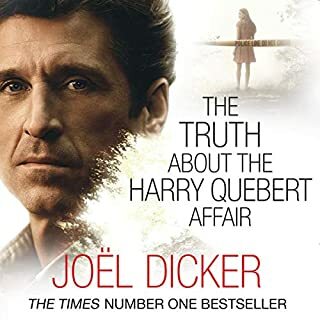 This story is an account of everyone in Summerset, who knew Nola and how Marcus Goldberg sets out to clear Harry from being accused of her murder. Wow, I had no idea of the struggles in Jimmy's life growing up. His determination to change the course of his future to get him where he is today is truly inspiring. 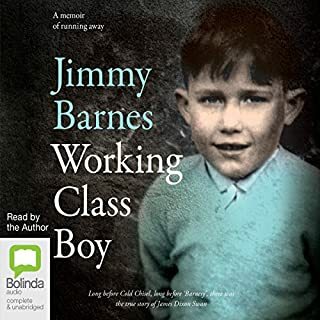 Thank you Jimmy Barnes for allowing your fans to read/listen to your childhood challenges. The strength this story gives to life. I had this book saved in my wish-list for months before I felt ready to hear this true story. We all know what the German's did and some of us have been to Auschwitz & Birkenau. 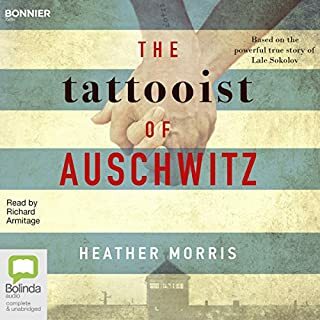 This story is a true account of 1 man's struggle to stay alive and the hope he clings to, that one day he will be free and be able to marry the 1 woman he loves soo dearly, whom he met in the same concentration camp. I couldn't put this book down and honestly say it was one of the best books I've listened to. Thank you Heather for bringing this story to life. It's truly touching. The truth hurts.... Erin and Roisin were friends until a fatal accident ruined both their lives. 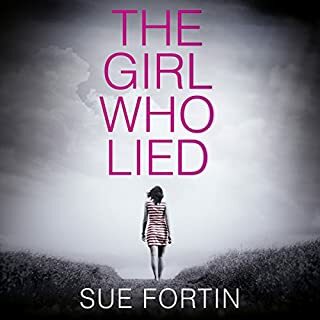 Now Roisin has discovered a secret - one Erin has kept for over a decade - and she's determined to make Erin pay for her lies. Erin wants nothing to do with Roisin. She has a new life in London and no intention of going back home. 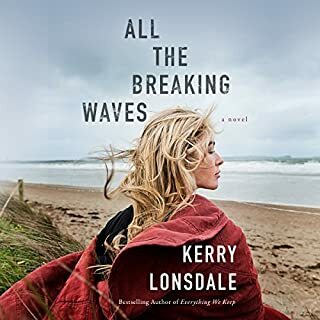 Yet when her father is mysteriously and critically injured, Erin has no choice but to return and face Roisin - and her past. Wow, what an amazing story. I love, love, loved it. Amy's narration of this story made me feel like I was in Ireland. She really helped create the scene in one's mind and wish we were there. I enjoyed listening to Jo and Kerry's banter and it made me laugh many times. I was excited to hear about Erin and Kerry and how their relationship blossomed. This story highlighted what family is all about and the lengths family will go to, to protect eachother. I'm sad the book is finished. It was a fantastic journey through the life of a family's secret (many secrets) and the consequences that lead them to unravel. Thank you Sue for a fabulous story. I loved listening to the continuing story of Miss Louisa Clarke's life and her new life in crazy New York. 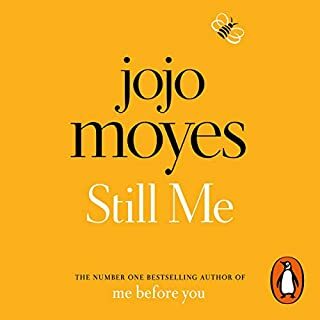 This time in her life was like no other and she struggles with her long-distance relationship with Sam the paramedic. Her year in NYC is filled with emotion, turmoil, heartache and love. Such a great story and I can't wait to hear what happens next. Best crime series in a long time. Can this story get any more twisted? Wow! 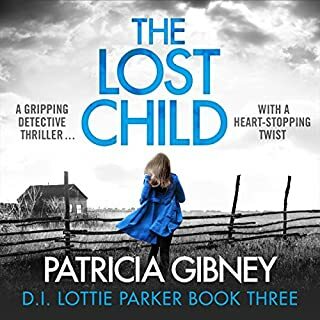 Another fantastic tale by Patricia Gibney. 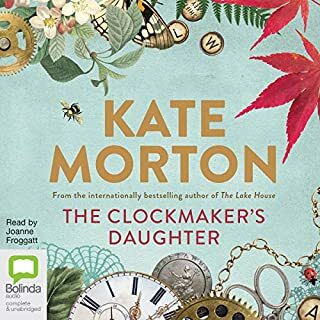 Lottie Parker finds herself and her team investigating the murder of an old lady and the disappearance of the lady's daughter. 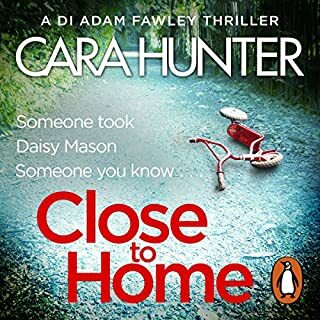 But, more murders keep happening Lottie must work out how they are all connected, why is it happening and what / who is behind this nightmare. What she uncovers in the end will shock her to the core and send her world upside-down.